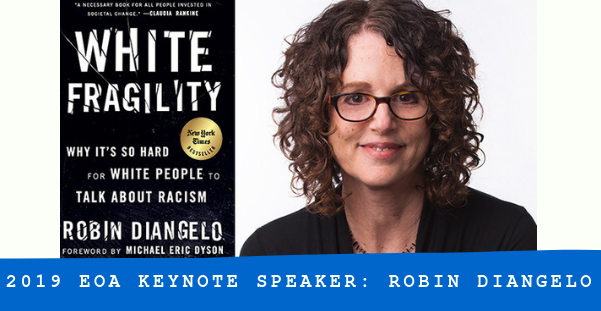 Robin DiAngelo, author of NYT bestseller, White Fragility, is our 2019 keynote speaker. DiAngelo educates audiences about social and racial issues as an academic, diversity trainer, and consultant. If you want to read more of her work in advance of the conference, follow our social media. We’ll regularly share her publications! Proposals for conference sessions due May 1, 2019.